4 Bedroom Town House For Sale in Tunbridge Wells for Guide Price £475,000. Guide price 475,000 - 500,000. 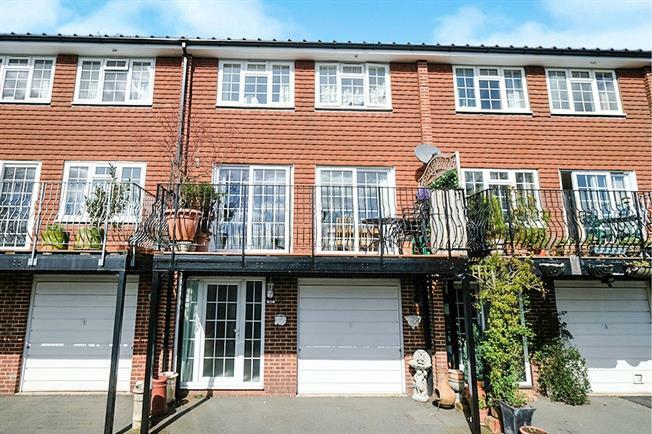 Freeman Forman are delighted to present this spacious four bedroom Townhouse, located close to the town centre, two mainline railway stations and numerous schools. The property offers versatile accommodation arranged over three levels and has the added benefit of a garage and off road parking. The ground floor accommodation includes an inviting entrance hall, kitchen, and an open plan sitting/dining room with access onto a sunny private balcony offering fine views across Tunbridge Wells. Stairs rise to the first floor where three bedrooms are located along with a well appointed bathroom. The lower ground floor level offers a separate entrance, and a further bedroom and shower room. There is access to the single integral garage and driveway for off road parking. There is a gas central heating system and double glazing throughout the property . An internal viewing to appreciate all that this property has to offer comes highly recommended.